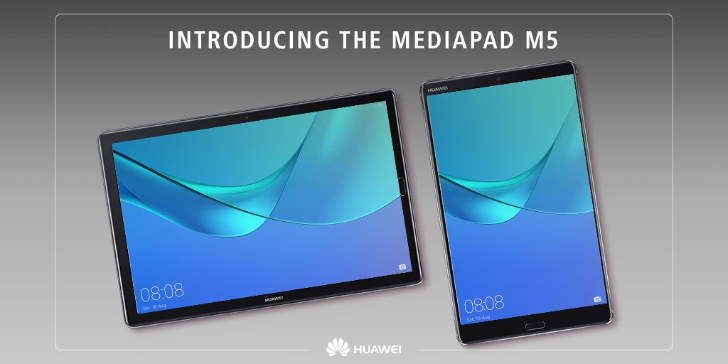 First announced at MWC this year, the three different Huawei MediaPad M5 tablets are now shipping in the US and available from both Amazon and Newegg. Beside Samsung's Galaxy Tab S series, Huawei's MediaPads are the only other high-end Android tablets that are worth looking at, and this new iteration is better while still being priced realistically. The three variants have nearly the same specs: 2K display resolution, Kirin 960 CPU, 4GB RAM, 64GB storage with MicroSD, 13MP/8MP cameras, USB-C, and Android 8.0 with EMUI 8.0. However, they differ in their display size, battery capacity, and the fact that the Pro model's display has 4096-level pressure and comes with an M-Pen in the box. I have had a review unit of both the 8.4" tablet and the 10.8" Pro for a few days and I'm very impressed by the solid build quality as well as the entire experience so far. The displays are gorgeous, the loudspeakers from Harman Kardon are really loud and clear, the battery life seems to be holding out well, and they're quite smooth to use. Handwriting recognition on the Pro with the M-Pen is very good and it comes with a few apps to make the most of it. Still, there are a few things I'm not completely convinced by. The aspect ratio is a little too tall in portrait, the Pro's volume and power buttons placement is weird, and there was a lot of bloat preloaded (which is thankfully removable). But overall, if you're looking for an Android tablet, either because Chromebooks aren't available in your country or because you're not yet convinced by Chrome OS, these are hands-down the best option right now. Compared to a relatively old Galaxy Tab S3 9.7" 32GB at $438 or an even older Galaxy Tab S2 8" 32GB at $277, the balance is undeniably in Huawei's favor. You can order yours from the links above, and be on the lookout for my review soon. In the meantime, let me know if you have any questions. Designed to deliver an unparalleled mobile experience for both entertainment and work, the HUAWEI MediaPad M5 Series of tablets are now available in the U.S. at top consumer electronics retailers Amazon and Newegg. 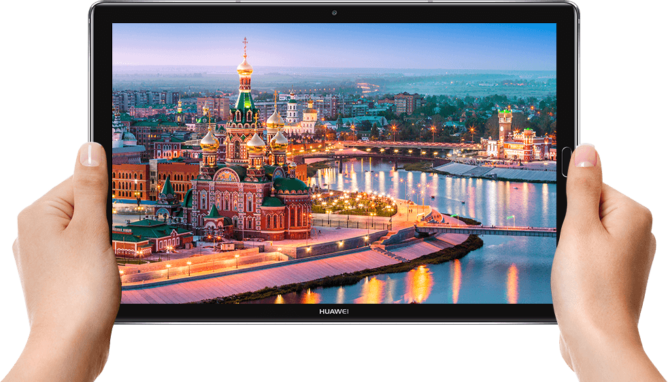 Available in 8.4-inch and 10.8-inch versions in Space Gray and a 10.8-inch Pro version in Champagne Gold, the HUAWEI MediaPad M5 Series are competitively priced at $319, $359 and $449 respectively.